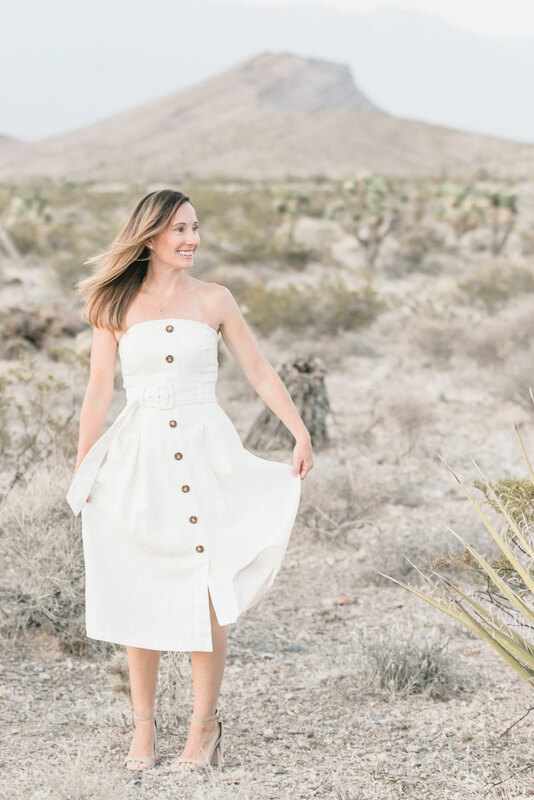 Hi, I’m Meghan, a natural light wedding and portrait photographer located in Fabulous Las Vegas, Nevada! I have three amazing little ones (two human, one with fur and four legs) and my charismatic husband, Travis, who keeps me on my toes. I grew up in Kansas City, attended college in North Carolina (go Tar Heels), and moved to Las Vegas because it sounded like it would be a fun life experience (and it has)! I’ve loved photography for many years so when my first child was born I decided it was time to capture life full time. I have a passion for creating, working on home projects, traveling, exploring, living life and experiencing other cultures! I believe coffee, chocolate and pretty much any desserts are necessary food groups with no way to survive without them! My photographic style is light, airy, dreamy and romantic. I love to capture in the moment photos where you are truly you. Photography has changed the way I view life. It has made me realize how truly special love is, and if we have each other, we have everything. I am blessed to do what I love, as well as witness the beginning of new lives and families! I am excited to hear about you! What’s your story?